California features some of the world’s most beautiful (and busiest) highways. If you’re going to be traveling on them, it’s worth finding a few minutes to spare so that you can visit some of the wonderful destinations along the way. 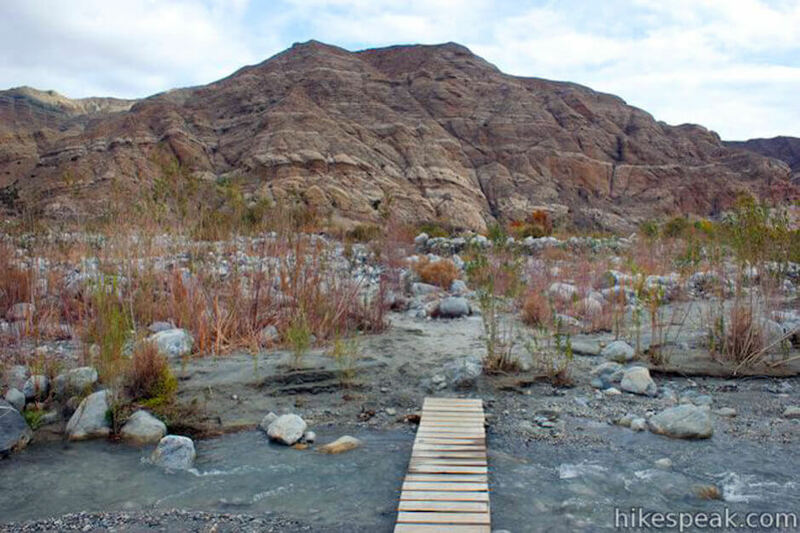 And, if you happen to be short on time, you’re in luck: There are plenty of rest stops you can enjoy that offer excellent amenities, beautiful scenery, and clean accommodations all at once. 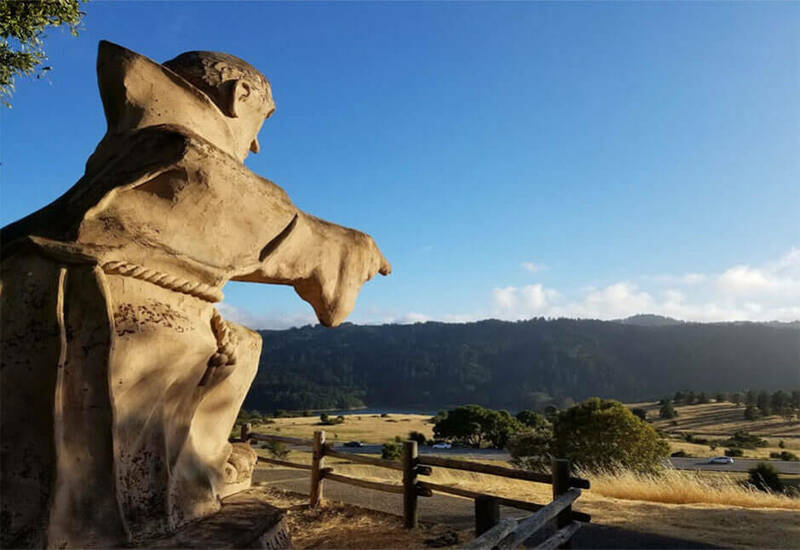 Here’s a look at the best places to take a break along California’s highways. At the tip of the state’s highways, you’ll find the Randolph E. Collier Northbound and Southbound Rest Area. Spot deer as you enjoy the green grass and open air picnic tables, and don’t forget to take a walk along the river that runs alongside it. This is a very clean, scenic place to take a break from a long trip. Dogs are also allowed, with a private area dedicated to them so you can walk your dog around and let them stretch out their legs. 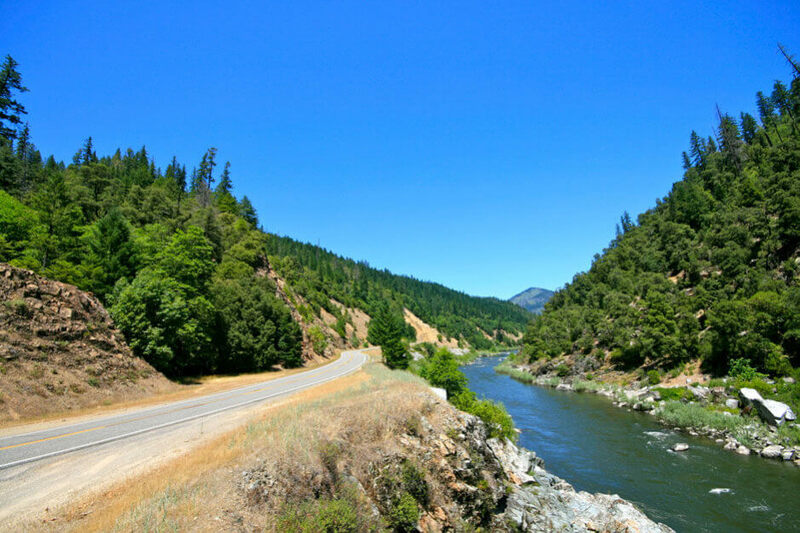 As you take in the scenery, you might even have the chance to see fly fishers and locals enjoying the Klamath River. It’s known as the best stop between Seattle and San Diego and is set in an absolutely gorgeous forest. 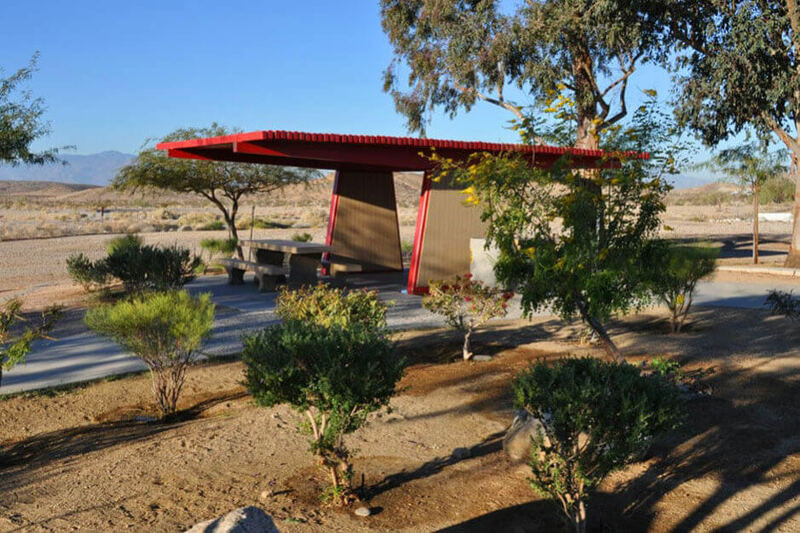 While the O’Brien Safety Roadside Rest Area can get a bit busy during the morning, it’s worth stopping by. 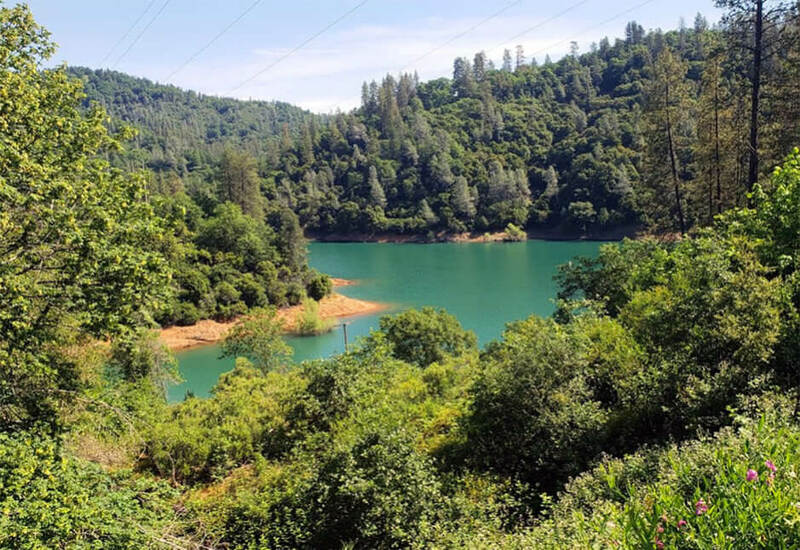 Set in the Shasta Trinity forest, you can sit down for a while where you can see a portion of the beautiful lake. Plus, the restrooms are clean and, while the parking area is smaller than most, you can probably find a spot without issue. When it comes to actually taking a rest, tables and chairs are plentiful so you won’t have a problem finding a good place to sit down and take in the open air for a while. There are also two gravel covered areas for your dog to stretch their legs. You definitely won’t regret stopping here! 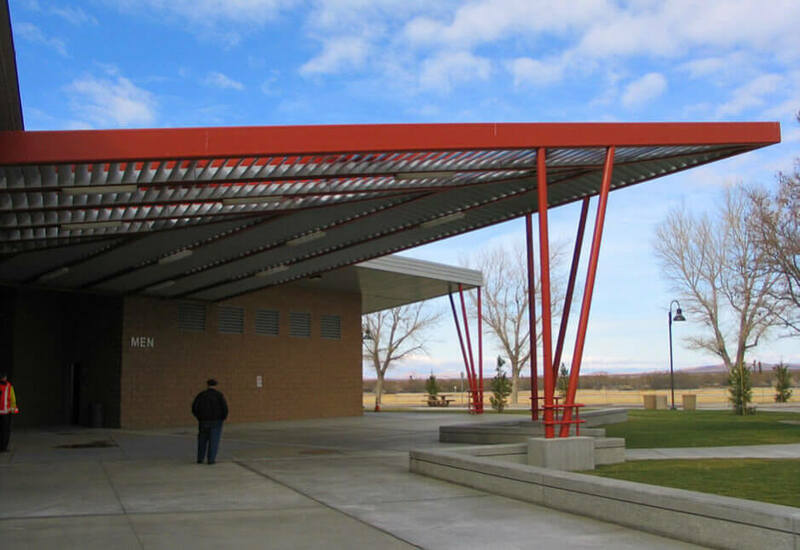 From brooding statues that are deserving of a few pictures to clean and well-lit bathrooms, this rest area is safe, secure, and very welcoming. People report parking with large trucks and trailers for 4-8 hours at a time without any problems. The area is well stocked and you shouldn’t face any problems with your stay. Also in a very scenic setting, this rest area features 24/7 surveillance and CHP is always stopping in to refuel. People like it for the clean setting and safety. Buttonwillow Rest Area, if you’re Northbound, this is a good place to stop off. Like most rest areas, it is open 24 hours which means you can enjoy the bathroom and all the other amenities any hour of the day. Vending machines are plentiful in case you’d like a cold beverage or some food to munch on, and there are lots of picnic tables as well. A dog park and other typical rest area amenities are all here, and the setting is very clean. While it’s nothing scenic to write home about, you’ll appreciate the stop on a long haul and it definitely won’t disappoint by means of cleanliness or amenities. It’s got exactly what you need with space to stop and stay for a while. Don’t hesitate to put this one on the map if you’re going to be worn out around this part of the trip. If you’re heading east, the Boron Rest Area is a good place to park off for a while. Clean restrooms and around-the-clock staff will make sure that you can focus on what’s important: taking a break! You can enjoy looking at some beautiful Joshua Trees and take a few minutes to walk around the grounds, grab a snack or drink, and just stretch out your legs. If you are looking for a place to spend the night, you should definitely stop here if it’s on your route. People report that it’s a very private and pretty place to stay overnight, and it’s actually quiet. It’s particularly great if you have dogs coming along for the journey with you. There are signs describing local wildlife and you might just be lucky to spot an owl, deer, coyote, elk, or other wild game if you wait it out long enough. If your trip is taking you through San Diego, Buckman Springs Rest Area is a good place to stop off. While its age shows, the facilities are very clean and well maintained and you shouldn’t have any problems with the plumbing or parking. There are covered picnic tables so that you can enjoy the open air without burning up in the sun too. The large parking lot almost always has spaces available, and you’re welcomed to stay up to 8 hours (California law) so that you can get some sleep in before hitting the road again. Some good areas to walk your dog, or just walk around for yourself, and security cameras to help deter would-be criminals–all things that will help you rest easy and get back on the road fast. From the name, you can probably tell that the Lake Murray Rest Area is quite scenic. 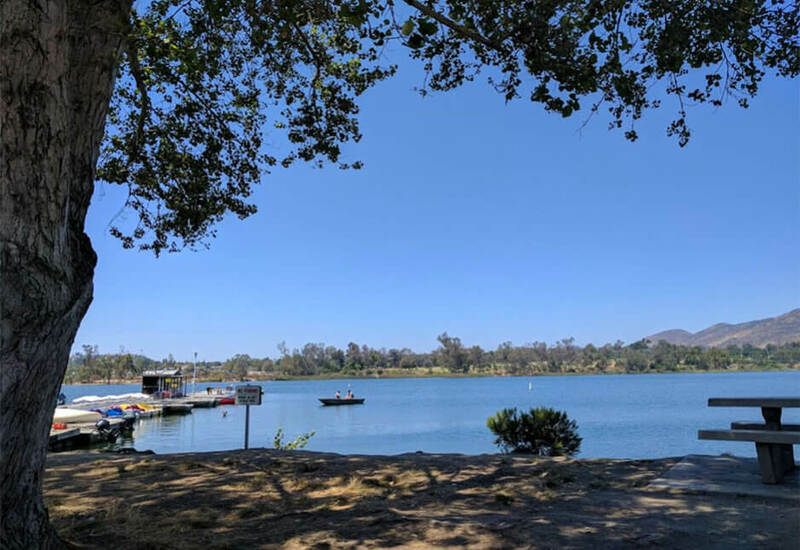 Walk out on the dock to take pictures of the beautiful water, spot ducks from the shore, and claim a picnic table so you can enjoy a nice break with clean air. You can also make use of the large parking lot, walking areas, and bathroom facilities. Lots of bicyclists and pedestrians will be around to enjoy the trails and beauty of the setting. 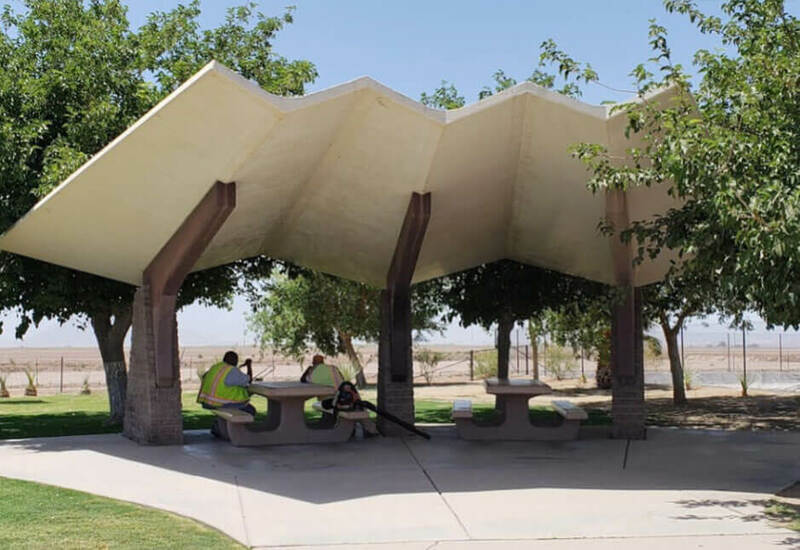 The Sunbeam Rest Area is a clean rest area with covered picnic tables and well up-kept bathrooms. There are historical markers to give you a briefing on the area’s significance and the tribes and civilizations that once lived in or migrated through the area. As with other rest stops in California, there is an 8-hour parking limit but you shouldn’t have trouble finding a spot to stop off for that long. If you’re westbound, Cactus City Rest Area should be on your list of rest stops for sure. The clean and well-maintained facilities offer parking, maps, a little bit of walking room, and a beautiful place to watch the sunset! Heading westbound through Riverside County? The Whitewater Rest Area is the place to stop. 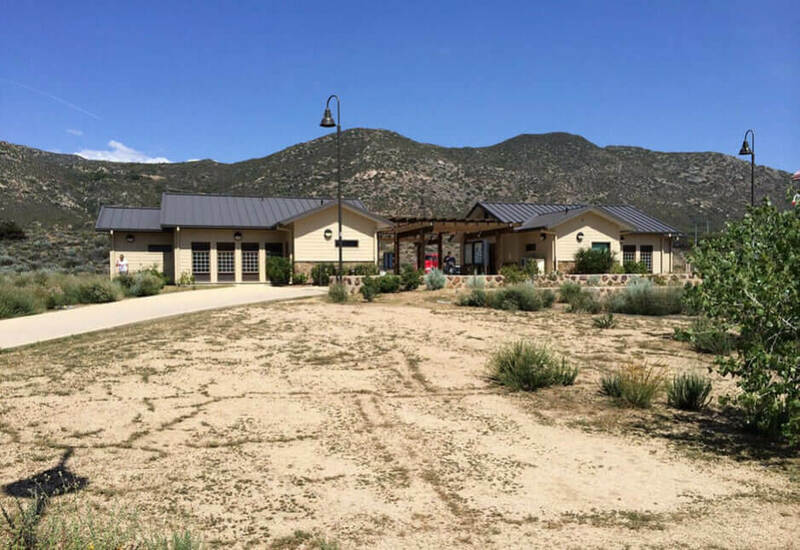 Not only is it clean, you can give yourself a mental break with the beautiful mountain views and lush green grass. The rushing creek is very relaxing to watch and walk along, and overall it is a very scenic area to take a break. 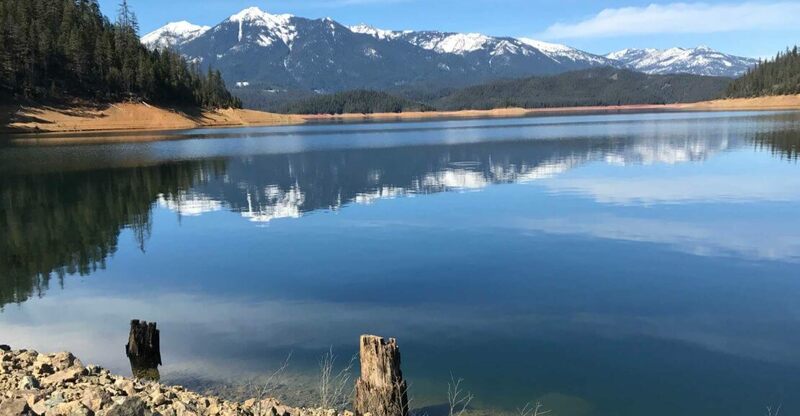 If you’ll be passing through this part of California, don’t hesitate to pull off into the Whitewater Rest Area and spend a few minutes–or a few hours–as your brain and body rejuvenate. Lots of parking and a selection of vending machines will help you refuel and relax for a little while during your trip.